Now that everything is known about the latest version of Apple’s tablet, the iPad, we’re left to wonder how long it will take for previous iterations of the device to fall off the map. In a piece written by our own Brad McCarty, that process may have already started for the first generation iPad. The company is already limiting what the original iPad can install, such as its new iPhoto app. Additionally, Apple may turn OS upgrades off in the future for the first-gen device. 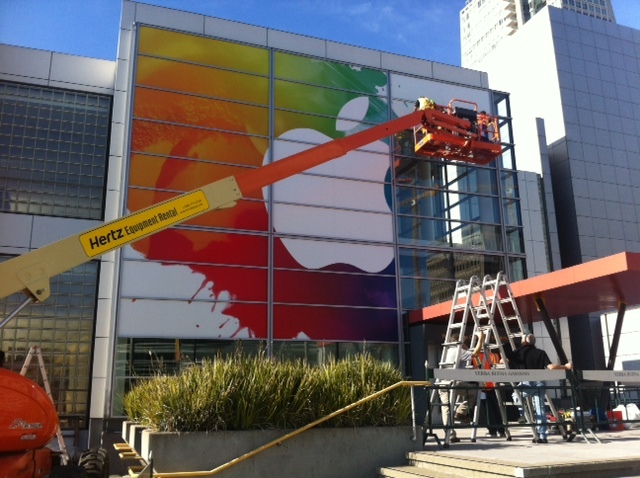 For those users, they’re going to make the jump directly to the latest iPad and not the iPad 2 immediately, right? Maybe not. 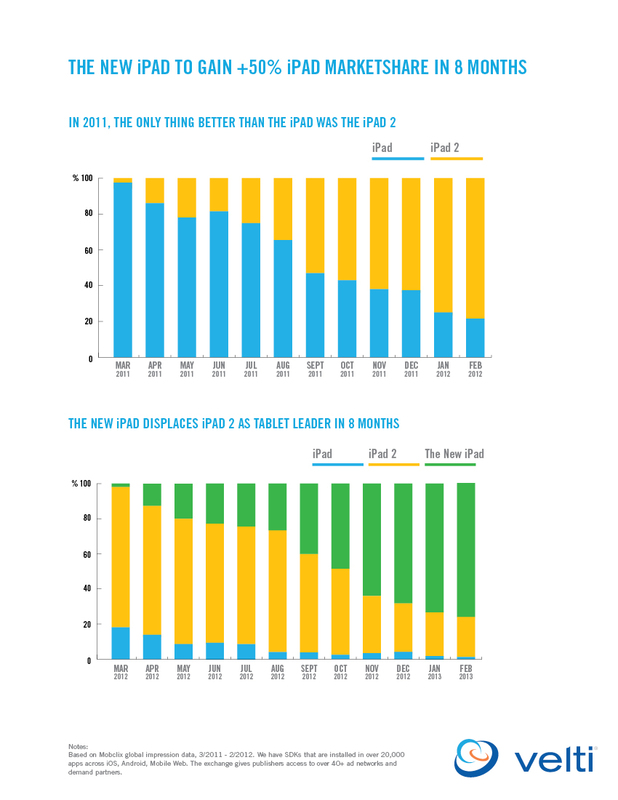 Mobile marketing firm Velti is predicting that it takes eight months for the new iPad to pass the iPad 2 as the most widely used tablet device. My initial reaction was that eight months was too long for this to happen, but the move by Apple to drop the price of the iPad 2 to $399, limiting the growth every so slightly, makes complete sense. This move was intentional of course, as it will help Apple keep up with the demand for the new tablet. The company is already running out of initial stock in some parts of the world. The holiday season is always a big boon for Apple as we’ll more than likely have a new iPhone to put on our wishlists as well. Will mom and dad make the big leap to the new iPad, or will they settle for the cheaper option? We’ll definitely be watching.